In the coolly analytical world of economics, how do you quantify patriotic fervor? For the man who launched the careers of generations of young Russian economists, it’s become a theoretical question with harsh real-world consequences. Igor Lipsits literally wrote the book on high school economics in Russia, selling about 1 million copies of his Ekonomika textbook that has helped shape the understanding of millions of teenagers in the past two decades. Now he’s been kicked off the syllabus in favor of books that more closely reflect President Vladimir Putin’s rosy economic outlook. After its experts declared that passages in Ekonomika “don’t evoke love and respect” for Russia, the Education Ministry removed the coursebook for 16- to 18-year-olds from its approved list for schools. 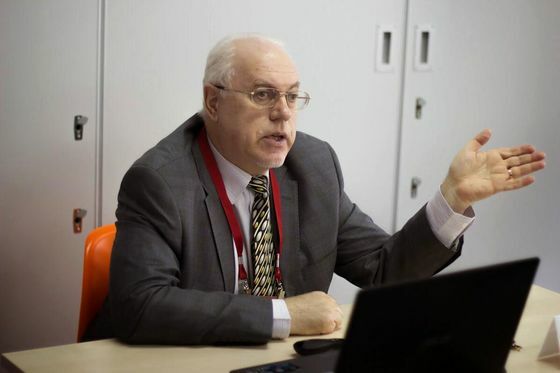 The exclusion of the 69-year-old Moscow Higher School of Economics professor caused uproar among teachers and economists after Lipsits posted an open letter about it on social media. The teaching controversy comes as the government strives to reach ambitious growth targets set by Putin following years of falling or stagnant incomes for consumers. It carries echoes of a cull of school history textbooks five years ago when the government set out a new curriculum to promote a more patriotic vision of Russia’s past in line with Kremlin ideology. “Changes in the textbook industry are taking place for both commercial and ideological reasons,” Lipsits said in an interview. Some “really good textbooks” have already been removed from the approved list as a result and “Russian schools really don’t need that right now. It’s very upsetting,” he said. The ministry is carrying out “comprehensive work” to improve the quality of school textbooks following orders from the president, its press department said in an emailed answer to questions. The textbook was excluded from the federal list because there’s no digital version or accompanying teacher’s manual and it contains some errors and typos, according to the department. Lipsits received feedback notes from experts commissioned by the ministry which highlighted passages, case studies and discussion questions in the book that they said failed to inspire a love for Russia among students. One dealt with consumers having to stand in line for basic goods in the Soviet Union, an image contradicting current state efforts to airbrush out many negative aspects of Russia’s communist past. The officials also objected to a section describing a Putin-era tax increase as a “misstep” after it had to be reversed when it led to a decline in revenue. In response, an editor at his publishing house suggested Lipsits revise the textbook to include details of Putin’s plans to break Russia’s dependence on imports and promote economic revival. Officials have removed nearly 260 textbooks from the approved list for schools since 2014, according to Boris Kuznetsov, director of Rossiiski Uchebnik, a non-profit organization that represents independent publishers. The biggest publisher, Prosveshchenie, which was formerly co-owned by Putin’s childhood friend Arkady Rotenberg, now produces 43 percent of books on the list, according to official data. It’s currently trying to get its own economics textbook approved, a spokeswoman said. 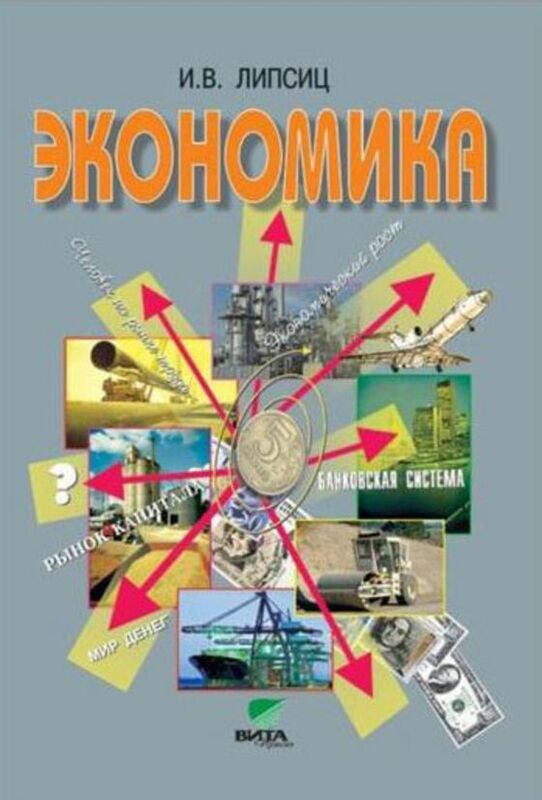 One of a handful of economics textbook to have kept its place on the list for high schools is described as the first of its kind to use “examples from Russian life that are close to students” to back up explanations of theory. A chapter from the book, also called Ekonomika, on modern Russia’s economic situation includes quotes from Putin as well as upbeat details of his plans to raise living standards and reduce inequality. The Putin-era crackdown on school textbooks is different to censorship in the Soviet Union because it’s driven by the state’s ultra-conservative values rather than political ideology, according to Andrei Kolesnikov, a senior fellow at the Carnegie Moscow Center.